This is a true adventure and a great reason to look forward to winter! These dog sled day trips are an excellent introduction to the exciting experience of dog sledding. 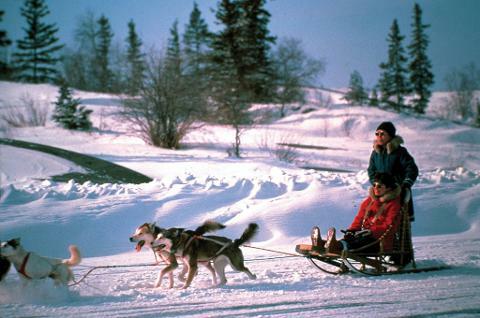 The dogsled trips start just north of Maynooth, where you will meet up with an eager team of Huskies who will pull you though some of the finest forests in Ontario! This two hour dog sledding trip is an excellent adventure for people who like “hands-on” activities. You have the opportunity to help with harnessing the huskies and hooking them up to the dogsleds. 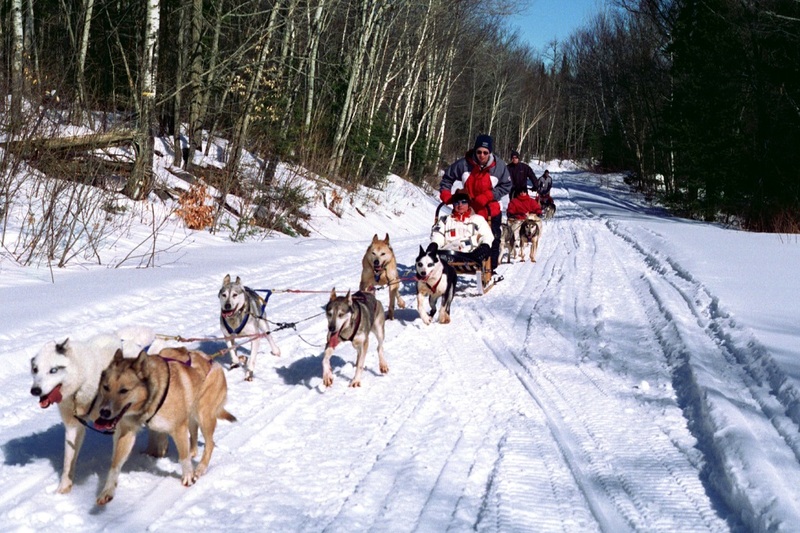 Each dogsled team consists of four huskies and one adventurer, so you will be mushing your own team! At the start of your dog sledding trip your guide will give you some instructions on how to handle the huskies, how to work the brakes on the dogsled, and what commands to give the dogs. He will then take off down the trail, and you will follow with your own dogsled team. 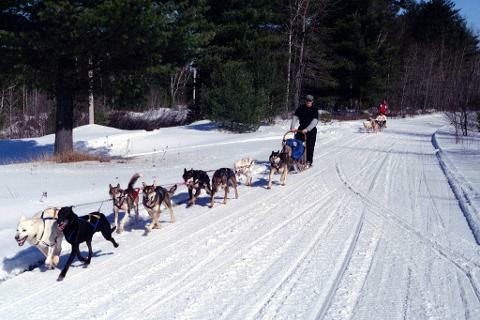 Your dogsled team will race silently down forest trails, along burbling creeks and frozen lakes. The only sounds you hear are the wind in your hair, the soft padding of the huskies’ feet, and your dogsled runners gliding over the crisp snow. Depending on snow conditions your route may be a loop, or a “there and back” adventure. At the end of the day, when you return to your starting point at the kennel, guests will have the chance to unharness their team and say their good byes before heading back home. This is definitely an experience you won’t want to miss!